wingu is the ultimate multiplatform framework to manage location-based content and interactions. The fastest way to get location services into your iOS App. 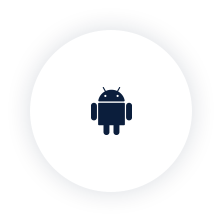 The fastest way to get location services into your Android App. Helps you to connect to the API of Wingu Proximity Platform. Rich content CMS to create content and interaction. For more complex interactions, f.e. if you want a structured, extensible, and simple way to get data in and out. If you want to fetch content directly from Wordpress and connect it to triggers in the wingu proximity platform.